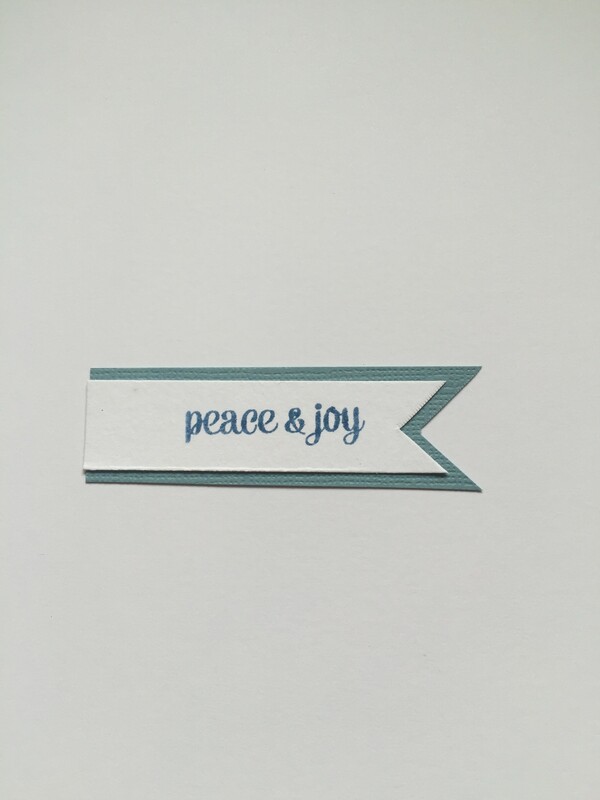 Crafters Companion > Blog > Create Peace and Joy with my new Sara Signature Contemporary Christmas Collection! Create Peace and Joy with my new Sara Signature Contemporary Christmas Collection! 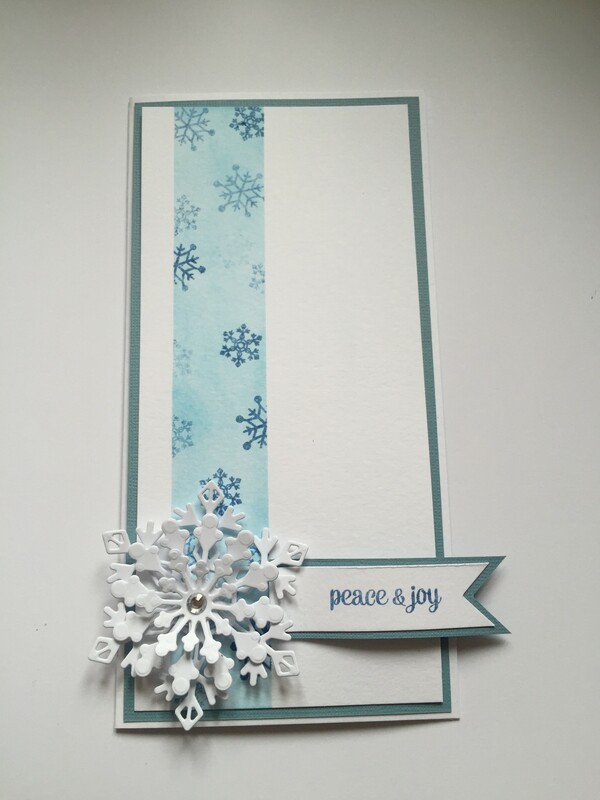 Time to create some peace and joy with this beautiful stamped card! 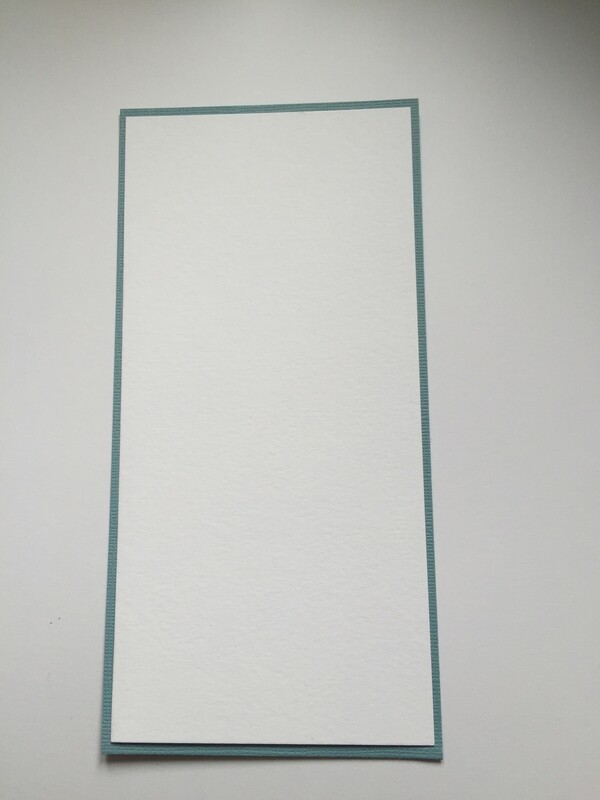 Steering away from traditional Christmas colours, this card really is contemporary! I can’t get enough of working with the distress inks, they just give such a lovely finish every time! What do you think? 1. 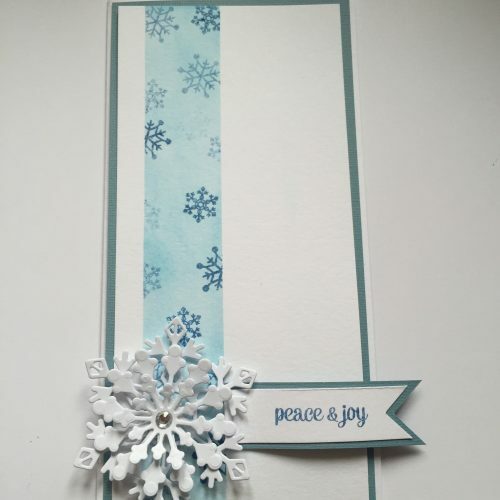 Start with a DL card base and cut a sheet of blue core’dinations to layer on top leaving a thin border, do the same with a sheet of Sheena’s stamping card onto the blue card leaving a thin border. 2. Place the white card on to you surface and place two strips of stencil tape onto the cars leaving a border strip on the cars. 3. Ink the strip using tumbled glass distress ink and the then using faded jeans distress ink ink stamp the two snowflake randomly in the strip, then remove the tape to leave you with a blue snowflake strip. 4. 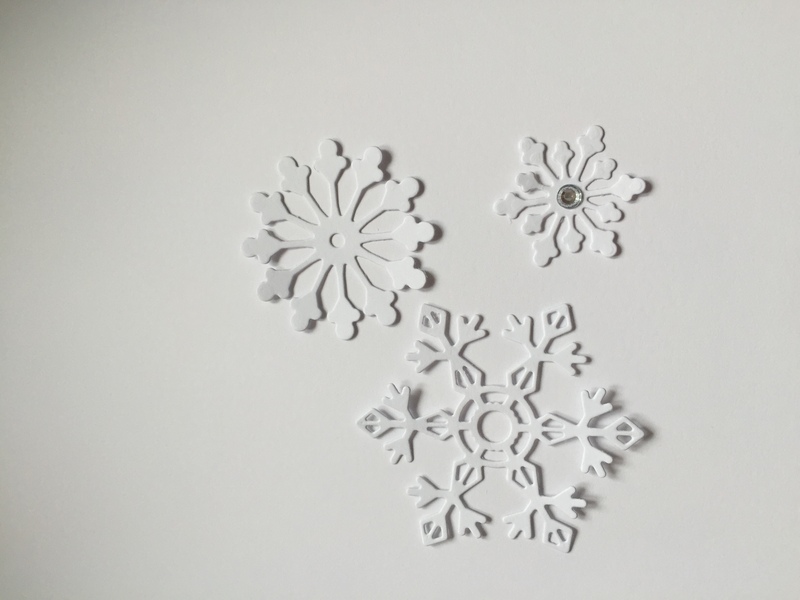 Die cut the 3 snowflakes in white card and place a silver gem in the middle of the smallest. 5. Stamp using the same ink the peace and joy stamp and cut into a smaller banner, cut a layer of the same blue core’dinations behind it. 6. 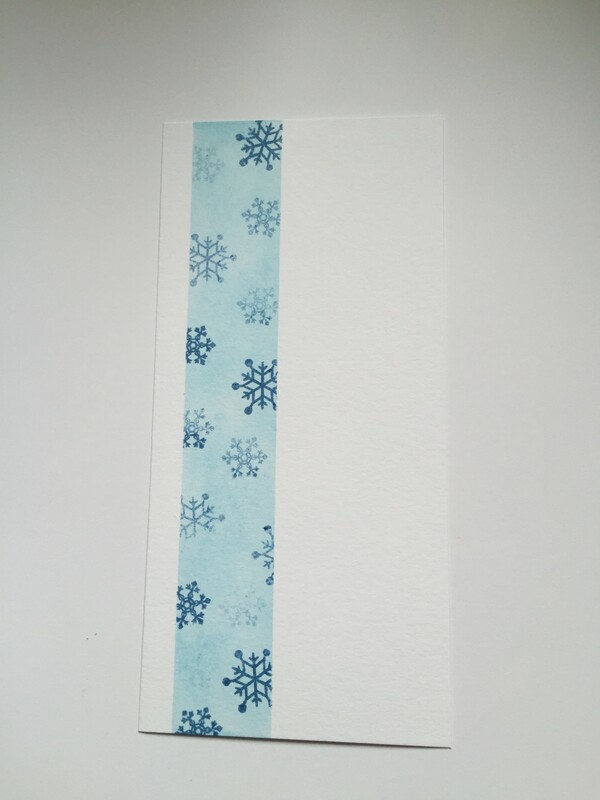 Place the snowflakes on the bottom of the strip placing the largest down first, layering them up. Then place the banner next to the snowflake. I think this could work in so many lovely colour coordination’s, have a go and show me! !